Is the Pope’s fight against sexual abuse in the Church slipping away from him? There has been an in-flight wedding, a preview on next year’s Synod of Bishops assembly on the Amazon and encounters with the peripheries of Church and society, but Pope Francis’ ongoing visit to Chile and Peru has been marred by an apparent slacking off in the fight against sexual abuse in the Church. Some have even claimed that we are back at square one. By claiming all accusations against Bishop Barros as slander or calumny, Pope Francis has indeed taking a major step back in how the Church relates to victims. Rather than listening to what they have to say, they are being silenced and ignored. Of course, this is what the Church has until recently been guilty of doing for decades, and what many parts of society still do to this day, when confronted with accusations of abuse. While it seems as yet unclear what role Bishop Barros may have played, the claims against Fr. Karadima at least are reliable. Karadima’s case was dismissed by the courts because the statute of limitations had expired, but the allegations were deemed nonetheless credible. The Vatican sentenced Fr. Karadima to a live of penance and prayer in 2011. There is an odd contrast here, between the pope’s apparent commitment to fighting abuse and the comment he made. That contrast is strengthened further by the continuing silence surrounding the new mandates of the members of the Pontifical Commission for the Protection of Minors. These were up for renewal over the course of last year (some in March, others in December), but no word has yet come out. In essence, the Commission now exists in a sort of limbo. With the creation of the Commission, Pope Francis was off to a good start in this matter. For the first time, survivors had a say in how the Church should respond. Of course, that has since changed. New members were added, but two survivors chose to leave the Commission. In March it’ll be four years since its establishment, and that is too soon for the Commission to be forgotten, ignored or otherwise becoming irrelevant. Its work is too important. Hopefully, these two developments, the pope’s accusation of calumny and the silence surrounding the Pontifical Commission for the Protection of Minors are simply hiccups, and the commitment of the Catholic Church to combat sexual abuse of minors under her responsibility will continue to grow. Midway through the last month of the year, it is a good time to look ahead to the new year. 2018 will undoubtedly feature its share of Catholic news, developments and, not least, opinions in social media. Every year since the launch of this blog has had had more than a few surprises, so a look at the future can’t be anything but incomplete, but there are a few things which we know will happen. The retirement and appointment of bishops is pretty easy to predict, as bishops are legally bound to offer their resignation when they reach the age of 75. Locally, there are currently three dioceses without a bishop: Roermond in the Netherlands, and Hildesheim and Würzburg in Germany. In 2018, two more will likely join these: in Fulda, Bishop Heinz Josef Algermissen (at right) will celebrate his 75th on 15 February, and in Namur, Bishop Remy Vancottem will do likewise on 25 July. A third likely diocese to fall vacant in Ghent. Bishop Luc van Looy will turn 77 on 28 September. Upon his 75th birthday, the diocese made it known that Pope Francis had requested the bishop stay on for two more years, and that extension is up this year. While all hold memberships in various dicasteries in the curia, two of these sit at the head of them: Cardinal Coccopalmerio is president of the Pontifical Council for Legislative Texts and Cardinal Amato (at left) is the prefect of the Congregation for the Causes of Saints. Cardinal Nguyễn Văn Nhơn remains active as archbishop of Hanoi. All will undoubtedly retire upon their 80th birthday, opening up some interesting positions in the curia. Barring any deaths, the number of cardinal electors will stand at 114 by mid-2018. Possibly not low enough for a new consistory by itself, but considering the fact that a further 10 ill age out in 2019, Pope Francis may decide to be proactive and call a consistory in autumn for the creation of anywhere between 6 and 16 new cardinals. Speaking about the pope, he will, despite the fact that he has no love for travelling, visit several countries in 2018. In January, he will once again return to South America, visiting Peru and Chile. Ireland is on the schedule in August, when the Holy Father will attend the World Meeting of Families taking place in Dublin (logo at right). Visits not yet confirmed are to the Baltic countries in September and to Romania in December. A visit to India also remains an option, but as Pope Francis has just wrapped a visit to India’s neighbouring countries of Myanmar and Bangladesh, it may not be at the top of the list. In the latter part of the year, all eyes will be on the Synod of Bishops again, this while the reverberations of the last two assemblies of that body are still being felt. The October 2018 Fifteenth Ordinary General Assembly of the Synod of Bishops while focus on “Young People, Faith and Vocational Discernment”. To this assembly, each bishops’ conference will elect one or more (depending on their size) delegates, while the Pope will also make a personal selection of delegates. One of these personal choices has already been made: Sérgio Cardinal Da Rocha, the archbishop of Brasília, was appointed as Relator General of next year’s assembly. He will outline the theme at the start of the assembly and summarise the delegates’ speeches so they can be condensed into concrete proposals. Pope Francis today appointed the new Apostolic Nuncio to the Netherlands, the successor to Archbishop Andre Dupuy, who is now retiring. The new Nuncio is Archbishop Aldo Cavalli, an experienced diplomat who has been a Nuncio since 1997. Archbishop Aldo Cavalli was born in 1946 in northern Italy and became a priest of the Diocese of Bergamo in 1971. Before enrolling in the Pontifical Ecclesiastical Academy, the Holy See’s “diplomacy school”, in 1975, he taught literature at the minor seminary of Bergamo and studied political and social sciences. 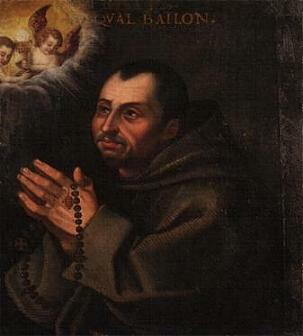 In Rome he added canon law and theology to his studies. Subsequently he worked at the Holy See’s diplomatic mission in Burundi and at the Secretariat of State, before being appointed as Apostolic Delegate to Angola and Apostolic Nuncio to São Tomé and Principe in 1996. A year later, he became a full Nuncio to Angola. In 2001 he was transferred to Chile, in 2007 to Colombia and in 2013 he came to Malta, in what was once of the last appointments made by Pope Benedict XVI before the latter’s retirement. Like his predecessors, Archbishop Cavalli also became Nuncio to Libya a few months later, in addition to his appointment in Malta. Archbishop Cavalli is the tenth Apostolic Nuncio to the Netherlands since 1967, the year that the diplomatic mission became a full nunciature. Since the archbishop is 68, he is about seven years away from his retirement, and we may assume that this will be his final posting. The Apostolic Nuncio is not only the ambassador of the Holy See to the Kingdom of the Netherlands, and the liaison between the Dutch Church and Rome, but also plays a role in the appointment of new bishops. The previous Nuncio, Archbishop Dupuy, never had the opportunity to play his role in that field, but Archbishop Cavalli will. In the coming seven years three Dutch bishops will reach the age of retirement: Bishop Frans Wiertz in December 2017, Bishop Antoon Hurkmans in August of 2019 and Bishop Jos Punt in January of 2021. Archbishop Cavalli will oversee the appointments of new bishops for the two diocese with the largest number of Catholics (Roermond and ‘s Hertogenbosch) as well as the one containing the Dutch capital (Haarlem-Amsterdam). In Malta he was involved in the appointment of Archbishop Charles Scicluna, which is a comforting precedence. In the time during and following Pentecost, the dioceses in Northwestern Europe generally get new priests, as seminarians are ordained during this time in which the Church remembers and celebrates the Holy Spirit’s descent upon the Apostles and His continuing work in the Church today. The ordinations are spread out across the entire month of June, with the first batch having taken place last weekend. On 6 June, Bishop Franz-Josef Overbeck ordained Fathers Marius Schmitz (30) and Christoph Werecki (28) for the Diocese of Essen, and on Sunday the 7th the vast majority followed, with 5 new priests in Aachen, 4 in Berlin, 1 in Dresden-Meiβen, 1 in Erfurt, 3 in Hamburg, 2 in Münster, 2 in Osnabrück, 5 in Paderborn and also 5 in Würzburg. Additionally, 6 transitional deacons were ordained in München und Freising, as well as 2 permanent deacons in Trier. On Monday the 9th, the first of a number of ordinations in the Netherlands took place, of Father Ton Jongstra in ‘s Hertogenbosch. He was ordained for the Focolare movement. On Saturday, 14 June, 2 new priests will be ordained for Haarlem-Amsterdam and 1 for Roermond. On the same day, in Würzburg, two Franciscan priests will be ordained. On 21 June, one priest will be ordained for Utrecht. All in all, we’re looking at 41 new priests, 7 transitional deacons and 2 permanent deacons in the dioceses of Germany, the Netherlands and Belgium. The youngest priest is 25-year-old Fr. Johannes van Voorst tot Voorst, to be ordained for the Diocese of Haarlem-Amsterdam; most senior is 63-year-old Fr. Joost Baneke, Archdiocese of Utrecht. The average age is 33 for the priests and 34 for the deacons. Most new priests and deacons come from the dioceses for which they are ordained, but some have come from abroad. Fr. Alberto Gatto (Berlin) comes from Italy, Fr. 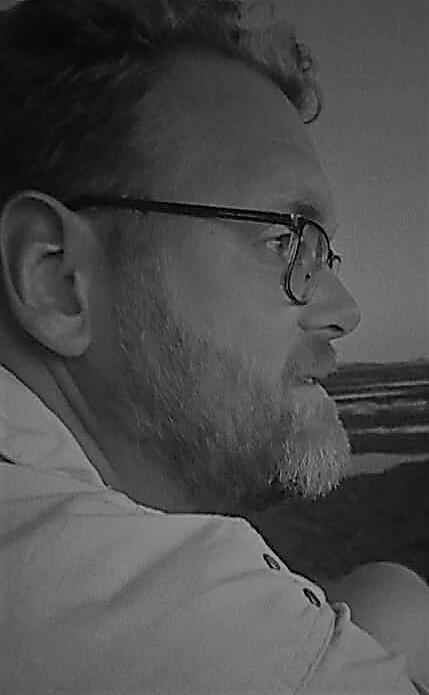 Przemyslaw Kostorz (Dresdem-Meiβen) from Poland, Fr. Mario Agius (Haarlem-Amsterdam) from Malta, Fr. Jules Lawson (Hamburg) from Togo, Fr. Jiji Vattapparambil (Münster) from India, and Fr. Alejandro Vergara Herrera (Roermond) from Chile. Below an overview of names, dates and the like of the latest influx of men who will administer that most necessary of services to the faithful: the sacrament of the Eucharist. Diocese of Essen: Bishop Franz-Josef Overbeck ordains Fathers Marius Schmitz (30) and Christoph Werecki (28). Diocese of Aachen: Bishop Heinrich Mussinghoff ordains Fathers Matthias Goldammer (27), David Grüntjens (26), Achim Köhler (40), Michael Marx (30) and Andreas Züll (38). Archdiocese of Berlin: Rainer Maria Cardinal Woelki ordains Fathers Alberto Gatto (40), Bernhard Holl (33), Johannes Rödiger (33) and Raphael Weichlein (31). 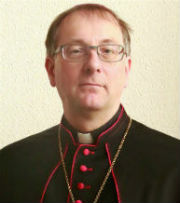 Diocese of Dresden- Meiβen: Bishop Heiner Koch ordains Father Przemyslaw Kostorz (27). Diocese of Erfurt: Bishop Reinhard Hauke ordains Father Andreas Kruse (44). Diocese of Fulda: Bishop Heinz Josef Algermissen ordains Father Markus Agricola. ^Archdiocese of Hamburg: Bishop Hans-Jochen Jaschke ordains Fathers Heiko Kiehn (33), Roland Keiss (29) and Jules Lawson (47). Archdiocese of München und Freising: Reinhard Cardinal Marx ordains transitional Deacons Alois Emslander (29), Johannes Kappauf (28), Manuel Kleinhans (30), Michael Maurer (28), Martin Reichert (26) and Simon Ruderer (30). Diocese of Münster: Bishop Felix Genn ordains Fathers Jiji Vattapparambil (35) and Thomas Berger (38). Diocese of Osnabrück: Bishop Franz-Josef Bode ordains Fathers Hermann Prinz (44) and Kruse Thevarajah (29). Archdiocese of Paderborn: Archbishop Hans-Josef Becker ordains Fathers Christof Graf (28), Markus Hanke (41), Stefan Kendzorra (29), Tobias Kiene (28) and Raphael Steden (26). Diocese of Trier: Bishop Stephan Ackermann ordains permanent Deacons Hans Georg Bach (59) and Michael Kremer (51). Diocese of Würzburg: Bishop Friedhelm Hofmann ordains Fathers Andreas Hartung (31), Sebastian Krems (38), Paul Reder (42), Michael Schmitt (31) and Simon Schrott (29). Diocese of ‘s Hertogenbosch/Focolare movement: Bishop Jan van Burgsteden ordains Father Ton Jongstra (56). Diocese of Haarlem-Amsterdam: Bishop Jan Hendriks ordains Fathers Johannes van Voorst tot Voorst (25) and Mario Agius (31). Diocese of Roermond: Bishop Frans Wiertz ordains Father Alejandro Vergara Herrera (34). Diocese of Würzburg/ Franciscans: Bishop Firedhelm Hoffman ordains Fathers Martin Koch (33) and Konrad Schlattmann (28). Archdiocese of Utrecht: Wim Cardinal Eijk ordains Father Joost Baneke (63). Archdiocese of Mechelen-Brussels: Archbishop André-Joseph Léonard ordains Fathers Gaëtan Parein (37) and Denis Broers (54). Diocese of Bruges: Bishop Jozef De Kesel ordains transitional Deacon Matthias Noë (24). Diocese of Ghent: Bishop Luc Van Looy ordains Father Herbert Vandersmissen (32). It is about five weeks before the consistory, so the announcement was expected any day, but Pope Francis managed to surprise again. At the end of today’s Angelus he announced his first batch of cardinals, 16 in all. The list is a mixture of the expected and the unexpected. Without further ado, let’s take a look at who’s who. Archbishop Pietro Parolin (58), Secretary of State. No surprise here. The Secretary of State has traditionally always been a cardinal, and although the position looks to undergo some changes in Pope Francis’ curial reforms, but the title and rank of the occupant is not among them. In contrast to his important function in the Curia, Cardinal-designate is quite young. Only three current members of the entire College (Woelki, Tagle and Thottunkal) are younger. Archbishop Lorenzo Baldisseri (73), Secetary General of the Synod of Bishops and Secretary of the College of Cardinals. Also no surprise, but for different reasons. The important role given to him early on in Francis’ pontificate, organising the two upcoming Assemblies of the Synod of Bishops and already wearing the red skullcap that Pope Francis himself wore until his election to the papacy, indicated that he would be among the Pope’s first cardinals. Cardinal-designate Baldisseri will be the third Secretary General of the Synod of Bishops to be made a cardinal. The previous one was Belgian Cardinal Jan Pieter Schotte. 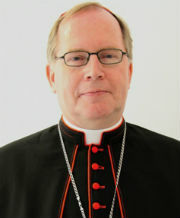 Archbishop Gerhard Ludwig Müller (66), Prefect of the Congregation for the Doctrine of the Faith. Head of the first among equals of Curial dicasteries, Archbishop Müller was also quite certain to be among the new cardinals. Ever since the Popes were no longer heads of the Doctrinal office, all Prefects were cardinals. Some have made assumptions that Cardinal-designate Müller was not going to be made a cardinal, because the ‘orthodox’ prelate seemed to be at odds with the ‘liberal’ Pope, but those are evidently mere rumours. The Prefect and the Pope work closely and well together, and Müller has even hosted the Holy Father for dinner. Archbishop Beniamino Stella (72), Prefect of the Congregation for the Clergy. Another sure candidate because of his function. The diplomat-prelate has made a rapid rise in the Curia last year, but that does not make his appointment surprising. Since as far back as the 16th century, the Prefect of the Congregation for the Clergy has been a cardinal. Archbishop Vincent Gerard Nichols (68), Archbishop of Westminster, United Kingdom. Somewhat of a surprise, although the UK is now without any active cardinal electors, with Scottish Cardinal O’Brien in effective retirement. For some he is considered too liberal, but the fact remains that Cardinal-designate Nichols has been an archbishop for almost 14 years (first of Birmingham, now of Westminster), and in his current see he is the 11th cardinal. In fact, since its establishment in 1850, all ordinaries of Westminster were made cardinals. Archbishop Leopoldo José Brenes Solórzano (64), Archbishop of Managua, Nicaragua. Now we are getting into the more interesting and unexpected choices for red hats. Cardinal-designate Brenes Solórzano is only the second archbishop of Managua to be made a cardinal. He is also the second elector in all of Central America (not counting Mexico). Archbishop Gérald Cyprien Lacroix (56), Archbishop of Québec, Canada. The successor of Cardinal Ouellet in the French-Canadian capital, Cardinal-designate Lacroix could have been expected to be made a cardinal some day, but he did not feature on many lists. Québec has been a cardinal see before, but rarely automatically. At 56, he will also be the second-youngest member of the College. Archbishop Jean-Pierre Kutwa (68), Archbishop of Abidjan, Côte d’Ivoire. From the start of speculations a likely candidate in traditionally cardinal-deprived Africa, Cardinal-designate Kutwa is the third archbishop of Abidjan in a row to be made a cardinal, with his immediate predecessor, Cardinal Agré, still alive. Before being appointed to Abidjan in 2006, Archbishop Kutwa had been Archbishop of Gagnoa since 2001. Archbishop Orani João Tempesta (63), Archbishop of São Sebastião de Rio de Janeiro, Brazil. Host of the most recent World Youth Days and head of one of global Catholicism’s largest communities, Cardinal-designate Tempesta follows in the footsteps of his predecessors since the late 19th century. Archbishop Gualtiero Bassetti (71), Archbishop of Perugia-Città della Pieve, Italy. The only Italian ordinary on the list, Cardinal-designate Bassetti is a bit of a surprise. Perugia has rarely supplied a cardinal. His appointment comes in lieu of other, more likely, sees such as Turin or Venice. Th vice-president of the Italian bishops’ conference was recently also appointed a member of the Congregation for Bishops. Archbishop Mario Aurelio Poli (66), Archbishop of Buenos Aires, Argentina. Pope Francis’ own successor in the Argentinean capital and in fact the second ordinary appointed in his papacy, Cardinal-designate Poli need not have been a surprise choice. Five of his six predecessors in Buenos Aires also became cardinals. Archbishop Andrew Yeom Soo-Jung (70), Archbishop of Seoul, South Korea. As South Korea is one of the fastest growing Catholic countries in the world, and certainly in Asia, it is certainly fitting for its capital’s archbishop to be made a cardinal. Cardinal-designate Yeom Soo-Jung is the third of Seoul’s archbishops to be made a cardinal. In addition to the Archdiocese of Seoul, the cardinal-designate is theoretically also pastorally responsible for the Catholics of North Korea. Archbishop Ricardo Ezzati Andrello (71), Archbishop of Santiago de Chile, Chile. A main-stay on the lists, Cardinal-designate Ezzati Andrello heads a traditional cardinalatial see. His immediate predecessor, Cardinal Errázuriz Ossa, is a member of the Council of Cardinals. The Salesian cardinal-designate was previously archbishop of Concepción, also in Chile, before being appointed to that nation’s capital. Archbishop Philippe Nakellentuba Ouédraogo (68), Archbishop of Ouagadougou, Burkina Faso. Only the second cardinal to hail from this western African country, he is a bit of a surprise. Cardinal-designate Ouédraogo is president of the bishops of Niger and Burkina Faso, and a welcome addition to the College, considering his nationality and heritage. Archbishop Orlando B. Quevedo (74), Archbishop of Cotabato, Philippines. A second elector from the Philippines was very welcome, but it being the archbishop of Cotabato is quite surprising. No cardinal has come from there before. Cardinal-designate Quevedo, however, has been archbishop of Nueva Segovia, and president of both the Philippine bishops’ conference and the Federation of Asian Bishops’ Conferences. Bishop Chibly Langlois (55), Archbishop of Les Cayes, Haiti. Another young cardinal, and the first from Les Cayes. Cardinal-designate Langlois is even more noticeable for not being an archbishop and the first Haitian cardinal. The Haitian hierarchy, then, looks rather unique, with the bishop of a regular diocese wearing the red, while the nation’s two archbishop do not. Bishop Langlois has been the president of the bishops’ conference of Haiti since the end of 2011. Archbishop Loris Francesco Capovilla (98), Archbishop-prelate of Loreto, Italy. The oldest cardinal, Cardinal-designate Capovilla is a remarkable choice. He was Blessed Pope John XXIII secretary during the latter’s entire papacy, and we can therefore see his elevation in light of the Blessed Pope’s upcoming canonisation and the Second Vatican Council he convened. He will be the oldest cardinal of the College, and also the oldest to be created in the Church’s history. Archbishop Fernando Sebastián Aguilar (84), Archbishop emeritus of Pamplona y Tudela, Spain. A retired ordinary of a see which has supplied only one other cardinal in the past, the creation of Cardinal-designate Aguilar must be seen as Pope Francis personal choice as well as, perhaps, the importance he attaches to the mission. Cardinal-designate Aguilar is a member of the Missionary Sons of the Immaculate Heart of Mary. Archbishop Kelvin Edward Felix (80), Archbishop emeritus of Castries, Saint Lucia. Another first as no cardinals have ever come from the smaller Caribbean nations. Cardinal-designate Felix’s elevation is another step in creating a more representative College of Cardinals. All in all, the biglietto fits well with the priorities of Pope Francis, as the new cardinals come from all corners of the world, from the Curia and (in larger part) from the world’s dioceses, and are not limited to the standard traditional cardinalatial sees. But it also tells us that Pope Francis is not willing to let go of tradition altogether. For the proper functioning of the Curia and the College of Cardinals, it seems, he recognises that he needs the Secretary of State and the Prefects of the Congregation for the Doctrine of the Faith and of the Clergy to be cardinals. But he also wants the important Synod of Bishops to be represented well, hence that body’s Secretary General’s presence on the list. He understands the importance of major sees like Westminster, Québec, Abidjan, Rio de Janeiro, Buenos Aires and Seoul, but also Managua and Ouagadougou, all on equal footing. And lastly, it seems, there are cardinals who warrant the red for their personal qualities – Bassetti, Quevedo and Langlois, as well as the new impulse their elevation would give to their local faith communities. And then, even the elevation of three non-electors tells us something. Archbishop Capovilla’s presence is especially poignant, as it connects the current pontificate with that of soon-to-be Pope Saint John XXIII and the Second Vatican Council he convened. Pope Francis is very clearly a child of the Council. Some have noted his physical likeness to Good Pope John, but here we see a hint that that likeness may well run deeper. Of the 19 new cardinals, 16 will be electors, being under the age of 80. Only four of the new cardinals (Parolin, Baldisseri, Müller and Stella) will be Cardinal Deacons, as the are members of the Curia. The remaining 12 will be Cardinal Priests, being current or retired ordinaries.